To enable you to perform these excellent, fresh, seasonal songs with the children in your school, holiday club or Sunday school these backing tracks for the songs are now available. Containing the music, children's choir, and backing vocals they will help you to re-create the songs with your own childrens' group. Also available is a great value songsheet bundle and the backing tracks that include just the music if the choir and backing vocals are not required See www.essentialchristian.com/occ for more. Be the first to review The Greatest Gift Of All (Backing Tracks: With Children's Choir & Backing Vocals)! Got a question? No problem! 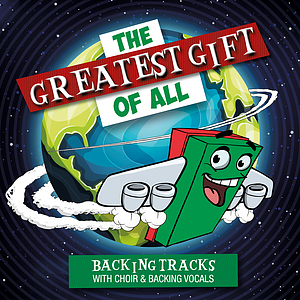 Just click here to ask us about The Greatest Gift Of All (Backing Tracks: With Children's Choir & Backing Vocals).